Ethics signify the science of duty; the code of morality implied to human actions as to what is right or wrong. 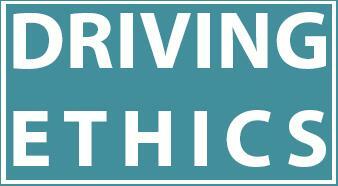 This article discusses the ethics in driving, especially those relating to the fast lane driving. Although, these ethics have been modified over the times vis-à-vis changing requirement of the new technological world of today, the objective remains the same i.e. the road safety, fewer accidents and lower rate in road deaths. There are underlying causes of the growth of fast lane driving culture today. One major cause is the desperate state of mind and heart in which the straying youths keep driving about recklessly. In the song ‘Fast Car’ by “Tracy Chapman”, the story of those lovers has been retold who, despite desperately trying to escape poverty do not find a way out. Another poem ‘ Driving Lessons’ by “Neal Bower” discusses a son who, in the middle of his parent’s unhappy marriage, is very disturbed and he drives on and on with extreme speeds just to vent his inner anguish. These two stories, although different on the surface, are similar in theme and in the kind of imagery used. Both the song and the poem use fast driving as a metaphor of freedom dealing with inevitability of family obligation on the one hand and loneliness and helplessness on the other. Eventually, both realize that driving fast as a means to escape obligations and misery does not either help drive away from problems. There are some idiots on the road these days. Some drivers are just too aggressive; other drivers are plainly not aggressive enough. Some others just never should have gotten their license in the first place. Many of these types of drivers can frustrate any ordinary person. Frustration can make your angry. Anger can make you irrational. This can lead to dangerous behavior. Most road rage incidents start off as a simple encounter between two drivers. An initial encounter can soon escalate and lead to more aggressive and dangerous behavior. Many people have termed this type of behavior “road rage”. “Road Rage” is all about speed and tailgating. It’s all about car chases, sudden and dangerous lane changes. Cutting people off, swerving in and out of traffic, blocking lanes, and constantly hitting the gas or the brakes. “Road Rage” is driving with no respect or regard for others on the road. Yet another and most irritating issue confronting driving in fast lane ethics is the issue of alcoholism. Being alcoholic, while driving is an ever-growing problem in ultra modern countries. The problem starts when completely drunk people take to fast lanes. The recent study in road safety records most of car crashes and road accidents due to alcoholic intoxication. A driver at this stage loses his or her critical judgment, has impairment of perception and drowsiness. In recent times the trend of hand-held cell phones has given a new dimension to the already existing fast lane driving hazards. If you see someone driving too slow, or too fast, or straying across lanes, or floating through a red light or making an awkward turn, you are sure to discover that the driver was chatting away with a cell phone in his or her left hand? It seems so funny and stupid when people combine driving and talking at the same time. Thick into their conversation, the driver’s focus and concentration on the road tends to decrease while risk in killing or hurting themselves increases. Use of cell phones during a fast chase is really one of the many causes of roadside accidents.